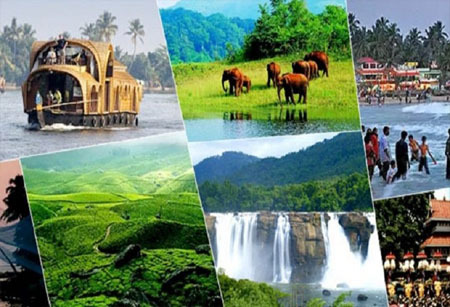 Kerala finds a place in the 19 places shortlisted by CNN this year for travel enthusiasts to visit in 2019. “This area of India has it all: sun, sea, sand, good food, houseboats, culture and wildlife. Its spectacular natural landscapes — think palm trees and sprawling backwaters — lend the region the nickname “God’s Own Country,” the report says. The postcard-perfect Kovalam beach and Varkala also get a mention in the report. It also suggests visitors to try surfing in Kovalam and a relaxing stay at Varkala. “Kerala’s backwaters are famous for a reason: a nexus of waterways linking the regions’ villages and best explored via kettuvallam — a traditional wooden houseboat. It’s worth spending anywhere from a single afternoon to a week on one of the many rental houseboats on offer, enjoying the sights and sounds drifting by,” says CNN Travel.